Generation Zero are doing a seriously good job of getting climate change higher on the political agenda. 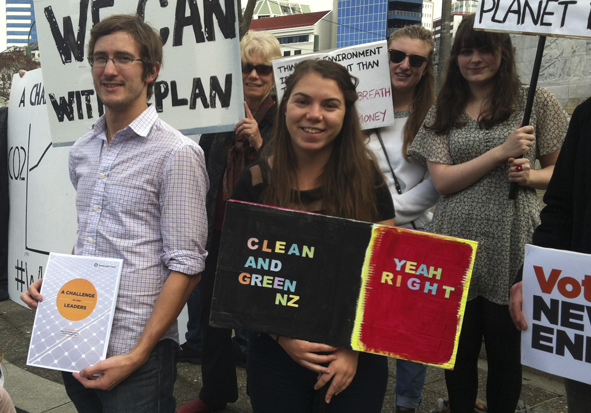 I had a chat with Paul Young, Generation Zero’s spokesperson, at one of their political stunts outside Parliament, about other countries that DO have a climate change plan and an opportunity that NZ cannot afford to miss. This entry was posted in Environment, Social & Civic and tagged Climate Change, Environment, Politics by lauriestarfish. Bookmark the permalink.